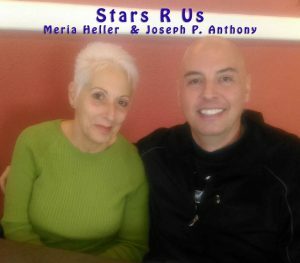 12/1/18 Stars R Us, with Meria & Joseph Anthony. December’s astrology and 2019’s. This concludes our series together. Wish Joe the best of luck on his new journey! Energy pulse waves coming in; secret space program; the theme of 2018 and 2019. Year of transition, awareness; Jupiter in Sag –expansion, wisdom; the 2019 eclipses; Mercury goes direct on the 6th; Venus in Scorpio; New Moon in Sag; Winter Solstice; NDE’s and astrology; Full Moon in Cancer; 2019 starts off with all planets direct; great time for new beginnings; earthquakes; changing value systems and more.